Giuliano Mazzuoli: a brand of wristwatches that very few watch collectors know. These mechanical movement watches are at the border of the watch as accessories and the traditional wristwatch, with an extension to the pocket watch. 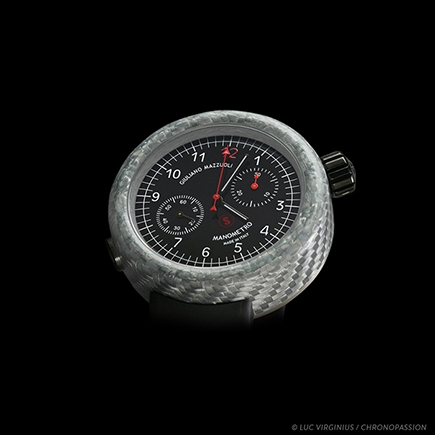 It is this hybridization between pocket watches and wristwatches that makes Giuliano Mazzuoli's watches so special. 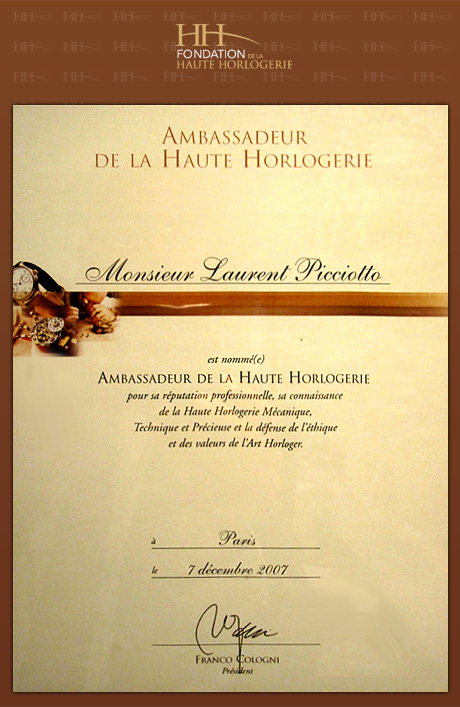 With this Italian watchmaking enthusiast, the accessory watch has a unique charm, driven by a Swiss movement. Giuliano Mazzuoli is not just another watch manufacturer. The man launched himself with the Manometro, in his Italian workshop, a watch with a mechanical movement. Even today, Giuliano Mazzuoli still speaks only Italian and designs each watch, bracelet, dial, case himself, with an all-Italian care for design. The Manometro is the watch that made Giuliano Mazzuoli famous. 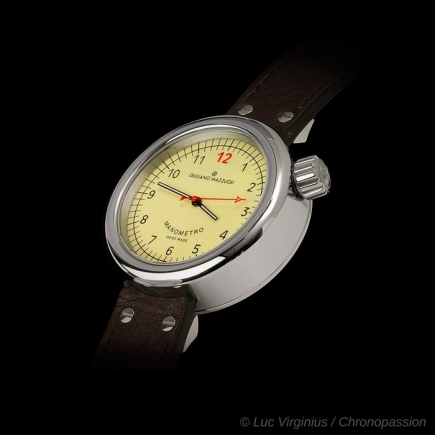 This is a small diameter case watch inspired by the manometers of yesteryear, hence its name Manometro. A wristwatch or pocket watch, Giuliano Mazzuoli's Manometro watch has seduced collectors with its economy of means and its price savings. Its small case, dial and bracelet made in its Italian workshop allow Giuliano Mazzuoli's Manometro to be offered at a very affordable price. The movement will not disturb this economy - a simple, three-handed movement, a movement that is only there to animate a very unique Italian design. Bracelet or pocket? Both of them ! Each of these Manometro watches is available in a limited edition with variations in dial, case, bracelet, and even movement, as many accessories as the watch collector can choose. While the dial is very often black in colour, Giuliano Mazzuoli has proposed a steel and even marble case as accessories for his Manometro wristwatch, with the audacity of an Italian design that is rarely found in watchmaking. 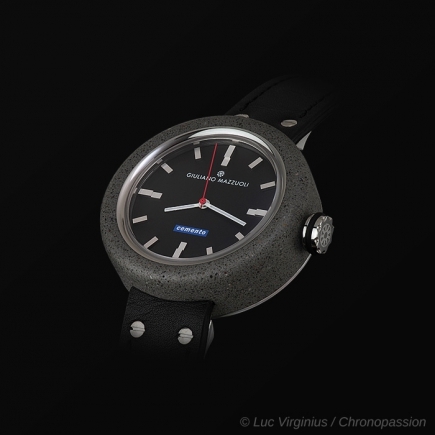 Italian marble came out of Giuliano Mazzuoli's workshop with the desire to offer a Manometro watch that is different from the watches in the rest of the collection, which will have an effect both as a bracelet and as a pocket watch. And if, today, rubber remains scarce for a Manometro bracelet, nothing prevents these affordable luxury watches from creating their own limited edition by creating their own custom-made bracelet. 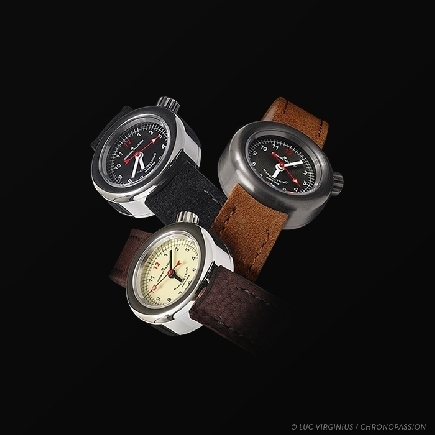 These accessory watches with marble case and rubber strap will work, even with a rare economy of means! 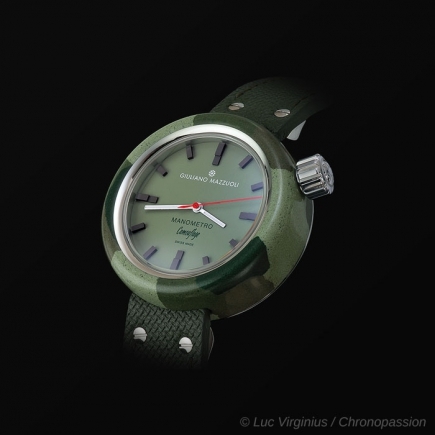 This will be the charm of the Manometro: creativity and economy of an Italian workshop that considers watches as luxury accessories, in limited series.